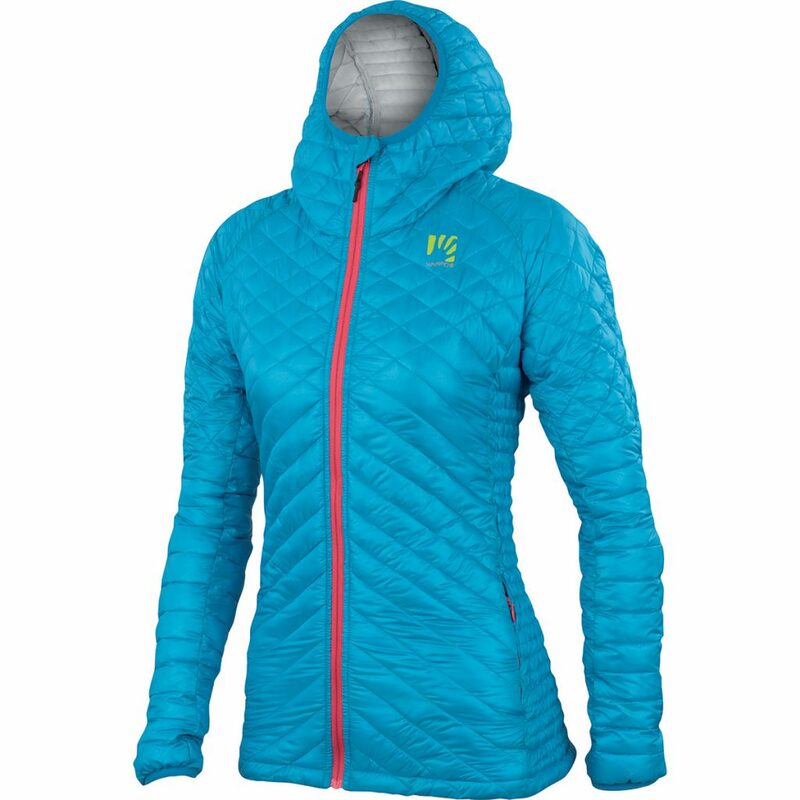 Womens climbing jacket Sassopiatto by Karpos for winter outdoors, lightweight and compressible, ideal for alpinism and ski mountaineering. The perfect thermal jacket for any activity: lightweight, compactible and windproof. The jacket is ideal to take along as a second or outer thermal layer when engaging in any winter activity. Thanks to its light weight and compactibility, you can stow it in your backpack for every outing. Ideal for use as a second layer in case of intense cold or as an outer layer in the case of moderate temperatures. Its extremely interesting appearance also makes it a piece to be worn every day. conditions. The zippers are YKK®. Wind flap under zip with garage. Two front pockets with zip. Draw cord at bottom of garment. 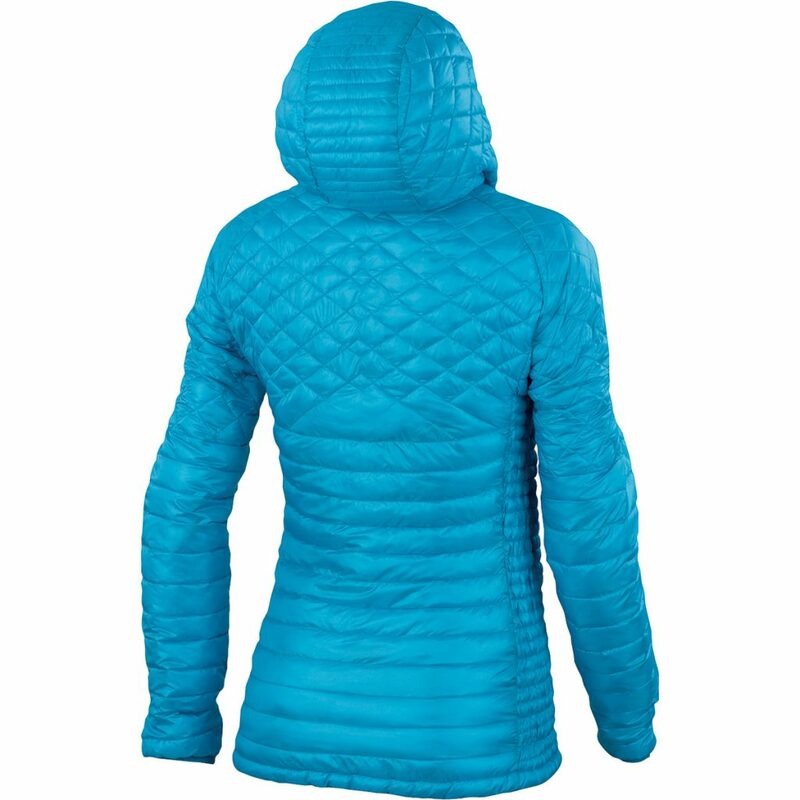 Women’s climbing jacket Sassopiatto by Karpos for winter outdoors, lightweight and compressible, ideal for alpinism and ski mountaineering.